Should We Stop Giving Vegetarian Food Meaty Names? 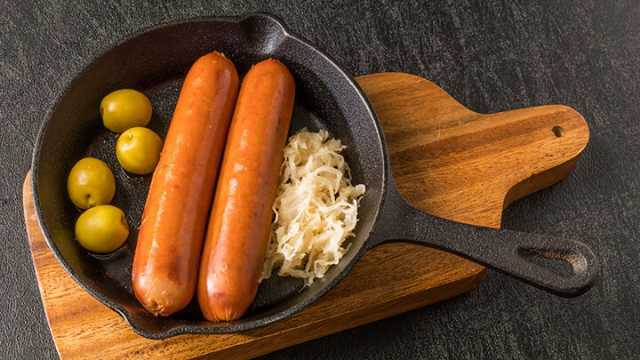 A famous German statesman once said, “Laws are like sausages, it is better not to see them being made.” Now, yet another prominent German politician wants to change the laws surrounding one particular type of sausage — the vegetarian variety. The country’s agriculture and food minister, Christian Schmidt, has argued food manufacturers should stop the popular practice of giving vegetarian meals meat-based names. “I don’t want anyone to pretend that these pseudo-meat dishes are actual meat dishes,” he said. Are vegetarian meat names misleading? Speaking to the Bild newspaper, Schmidt highlighted names like “vegetarian schnitzel” and vegan currywurst” as “misleading,” arguing they could confuse vegetarians, vegans and carnivores alike.“I favor them being banned in the interest of clear consumer labeling,” he said. Schmidt has petitioned the European Commission to consider regulatory changes that would make laws restricting the use of terms like “milk” and “cheese” apply to “meat” as well. Yet not everyone agrees these names are bad for consumers. The regional agricultural minister for Lower Saxony Christian Meyer dismissed Schmidt’s concerns, arguing most vegans and vegetarians are well aware of which products contain meat and which don’t. He also accused Schmidt of merely pandering to the meat industry. Indeed, the market for vegetarian and vegan meals has soared in recent years, partly at the expense of the meat industry. According to a research paper by Germany’s Institute for the Study of Trade, revenue for vegetarian and vegan products in the country doubled between 2010 and 2015. Demand for meat slumped 10 percent during the same period. Nonetheless, does Schmidt have a point? And why do manufacturers make vegan and vegetarian meals with meaty names in the first place? She added, “While I do have an ethical issue with meat, dairy and eggs, I don’t have an ethical issue with grilled flavors, smoky flavors, chewy textures or creamy textures.” Hence, it makes sense that names reflective of meat could appeal to vegan food. Another food blogger, Kathy Patalsky, even suggested that giving these meat-inspired meals meaty names can actually reduce confusion among consumers. As she put it, “Most mainstream home-chefs wouldn’t know what to do with a soy-grain-pea patty or quinoa nugget. 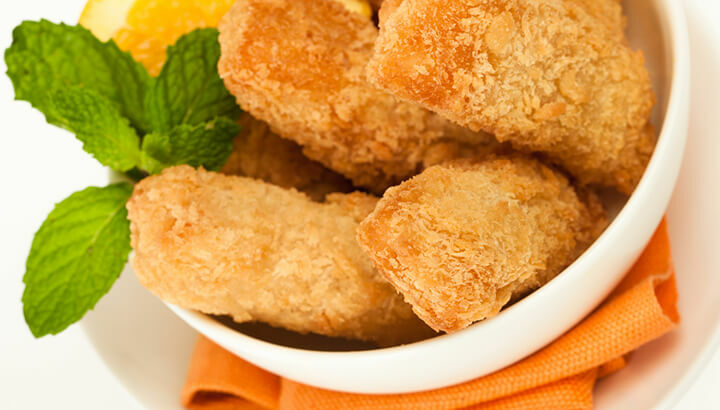 But they sure know what to do with crispy tenders and beefless tips.” In other words, giving meat substitutes familiar names might make it easier for ordinary consumers to understand how the meal should be prepared. There’s another possible reason why manufacturers prefer to give meatless meals names like the real thing: mass appeal. Back in 2011, Lesley Anderson, a health meals developer for food manufacturer M&S, told the UK’s Telegraph that meatless meals weren’t just for vegans and vegetarians. “Vegetarians are only about six percent of the market, so we obviously want to open it out to the whole population,” she said. 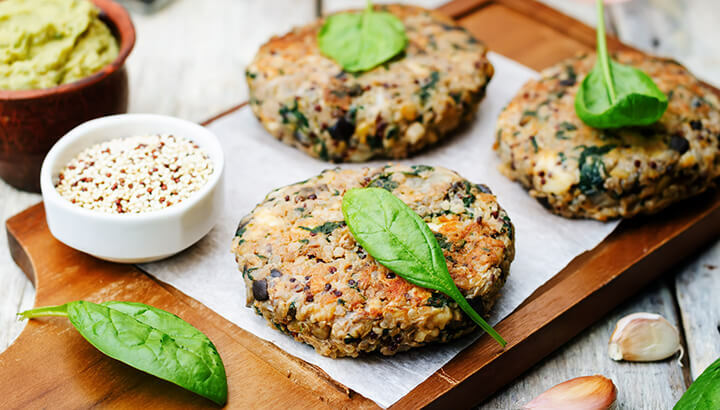 Another food researcher, Kiti Soininen from Mintel, told the newspaper many non-vegetarian and vegans are opting for meatless meals for a variety of reasons other than ethics. “The top reasons why people choose meat-free are for variety, because they are healthier, it is a lighter meal or because it looks tasty. Ethical reasons are really low among those consumers,” said Soininen. Broader consumers could easily be put off by meals marketed primarily as vegetarian or vegan. This is thanks to the legacy of a generation of vegetarian meals a decade ago that were all too often derided as bland tasting. Products are marketed as “meat-free” rather than as “vegetarian” because of the negative connotations. This explains why so many vegetarian and vegan meals nowadays are drawn to using those exact terms Schmidt claims are confusing. In the end, meals that closely imitate meat simply have broader appeal. So much so, that today it’s not hard to find vegetarian and vegan meals in the meat sections of supermarkets. Yet this trend might not be good for the very people meatless meals were originally intended for, according to Liz O’Neill, head of communications at the UK’s Vegetarian Society. “If any supermarket puts their meatless brand in a fridge alongside the meat, vegetarians might not walk down that aisle. We all have our familiar routes in the supermarket,” she told the Telegraph. Whatever name we give them, it’s inarguable that meatless meals are here to stay. Like in the UK and Germany, in the U.S. the market for vegetarian and vegan meat substitutes is growing rapidly. As of 2012, the industry was worth $553 million. So with more people than ever opting for meatless meals, are meaty names a help or a hindrance for consumers? Let us know your take in the comments below! Hey Buddy!, I found this information for you: "Should We Stop Giving Vegetarian Food Meaty Names?". Here is the website link: https://www.thealternativedaily.com/should-meatless-foods-have-meaty-names/. Thank you.